NTS designs and integrates test, measurement, automation, data acquisition and control systems utilizing diverse hardware platforms, operating systems, and instrumentation standards. Our test engineering teams have lent their expertise to a range of projects, including perfecting flight training systems for the Swiss Air Force and developing our most recent wave simulation machine. 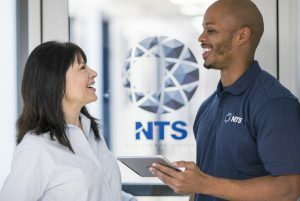 There’s a reason NTS has profitably managed test and engineering facilities for more than 50 years: Our world-class network of engineers and subject matter experts. 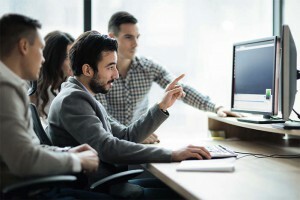 As your Managed Engineering Services partner, we can provide a customized, flexible integrated solution to your workflow challenges, giving you the peace of mind you need to focus on key areas of your business. NTS has over thirty years of experience providing ordnance engineering and test services. Engineers in Dana Point, CA and Camden, AR have demonstrated expertise in the development of detailed test plans and procedures to high level program requirements, failure investigation and analysis, ordnance product design and analysis, reverse engineering, and the design and development of custom test apparatus. Our contributions to the wind power industry spans more than 30 years. NTS engineers even contributed to the committee responsible for releasing industry the IEC 61400-24 test standard. In pairing our IEC TC-88 PT 24 committee participation with the growth of our in-house analytical modeling capabilities, NTS provides unmatched design, evaluation and testing services to help protect wind power products. These techniques are transferable to other structures that are susceptible to damage from electromagnetic phenomena. Learn today how our engineering services can help you meet or surpass your goals from development to market launch! Request a quote!